Amdavad Ni Gufa, University Road, Navrangpura, Ahmedabad. 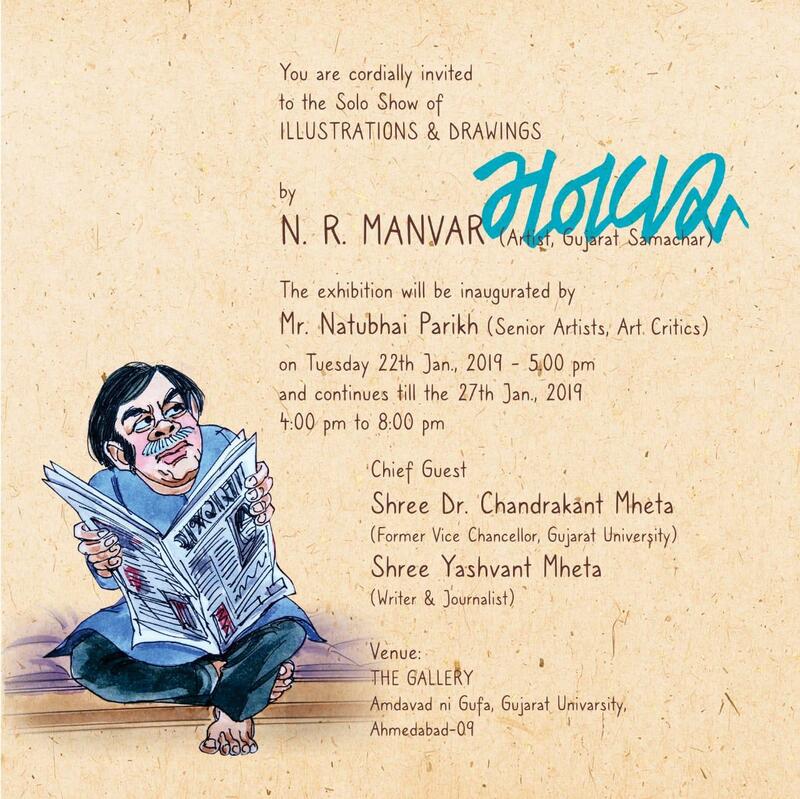 Solo Exhibition of Illustration & Drawings – Manvar by N. R. Manvar. The Exhibition will be inaugurated by Mr. Natubhai Parikh. Chief Guest – Dr. Chandrakant Mehta, Shree Yashvant Mehta.